“And I saw a new heaven and a new earth, for the first heaven and the first earth had passed away. And there was no more sea,” Revelation 21:1. Paul was saying that God took him to the “spiritual” heaven - the realm beyond the physical universe where God dwells. The “New Jerusalem” City of God is a hope for all true believers in Yeshua (Jesus) and when we grasp the amazing facts that the Bible says about this gigantic City of God - that can travel through space …and realize that it's all fact and not science fiction! The New Jerusalem is a City prepared by God for us in heaven that will come down from Heaven …and this alone should thrill our souls and give us hope for the future! The apostle John was privileged to see and report on the heavenly city (Revelation 21:10-27). He witnessed that heaven (the new earth) possesses the “glory of God” (Revelation 21:11); the very presence of God. 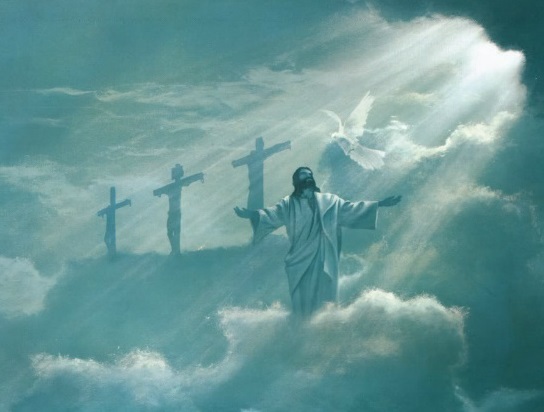 The best thing about heaven is the presence of our Lord and Saviour (1 John 3:2). We will be face to face with the Lamb of God who loved us and sacrificed Himself so that we can enjoy His presence in heaven for eternity. 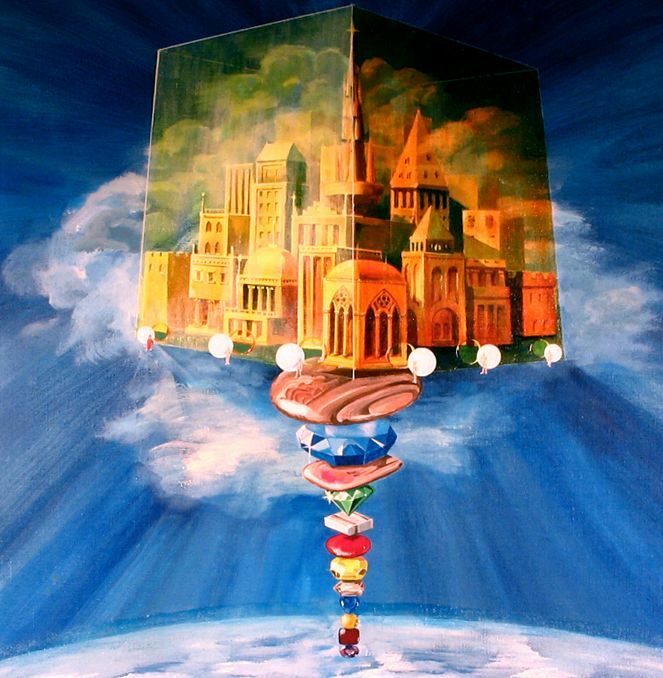 Let’s look at what will precede the “New Jerusalem” – the Holy City of our God? The most important day of a believer’s life is the “rapture” and the Bible also refers to this as the “catching away.” The English word “rapture” is not in the King James Version Bible. However, the word is biblically accurate because “rapture” originated from the Greek word “harpazo” which is derived from the Greek New Testament manuscripts of 1 Thessalonians 4:17 and is translated “caught up,” which holds the same definition. This verse tells us that living believers in Yeshua (Jesus) will be caught up (raptured) in the clouds to meet the Lord in the air. We will be caught away if we are born again. If we are living for Jesus Christ at His coming, we will be caught up in the air to meet Him there, and we will be with Him forever. Then after the Great Tribulation - is the day of the Second Coming of Christ to this earth, we the true believers that were “raptured” will go with Him to the Battle of Armageddon. He will put down the thrones of human government. We will crown Him “King of Kings and Lord of Lords.” He will then rule the world for one thousand years, and we will rule and reign with Him as kings and priests. The Lord could walk through walls and was not bound by the laws of space and time as we are now. When the Bible tells us that we will be caught up to meet Yeshua in the air …means we will have passed into “eternal life.” The reason it will be the most important day in your life and mine is because when that event occurs and your feet leave the ground and rise to meet the Lord in the air, nothing on earth will matter. It won’t matter whether we have money in the bank or whether anybody knows our names or whether we are world famous or relatively unknown. If we are prepared for that pivotal moment that will determine our eternal destinies, our lives will be a great success! Our bodies will be changed supernaturally from mortal to immortal, the Bible tells us in that we will have a body like Yeshua (Jesus) had after His resurrection (1 Thessalonians 4:13-18; 1 Corinthians 15:51-54). The City is filled with the brilliance of costly stones and crystal-clear jasper… “The wall was made of jasper, and the city of pure gold, as pure as glass. The foundations of the city walls were decorated with every kind of precious stone. 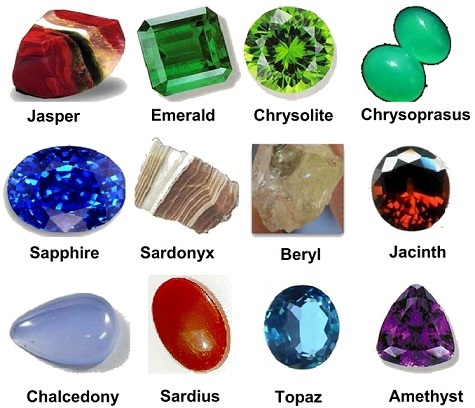 The first foundation was jasper, the second sapphire, the third chalcedony, the fourth emerald, the fifth sardonyx, the sixth camelian, the seventh chrysolite, the eighth beryl, ninth topaz, the tenth chrysoprase, the eleventh jacinth, and the twelfth amethyst. The twelve gates were twelve pearls, each gate made of a single pearl. The great street of the city was of pure gold, like transparent glass,” Revelation 21:18-21. Heaven has 12 gates (Revelation 21:12) and 12 foundations (Revelation 21:14). Though beautiful, the precious gems are cut and polished by the hand of man. Can you imagine the beauty of God's house? The dwelling place of God; must be extraordinary! It isn't just the astounding loveliness of the place where He dwells …but the fact that we will, quite literally, be by His side. What will Heaven be like...? Heaven is a real place described in the Bible and the word “heaven” is found - 276 times in the New Testament alone. 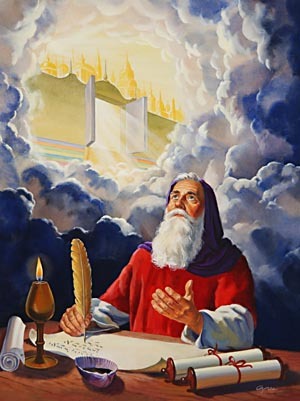 Scripture refers to three heavens; the apostle Paul was “caught up to the third heaven” …but he was prohibited from revealing what he experienced there (2 Corinthians 12:1-9). So, if a third heaven exists …then there must also be two other heavens? The first is most frequently referred to in the Old Testament as the “sky” or the “firmament.” This is the heaven that contains clouds, the area that birds fly through. The second heaven is outer space, which is the abode of the stars, planets, and other celestial objects (Genesis 1:14-18). The third heaven, the location of which is not revealed, is the dwelling place of God and Paul was saying that God took him to the “spiritual” heaven -the realm beyond the physical universe where God dwells. Yeshua (Jesus) promised to prepare a place for true believers in heaven (John 14:2). Heaven is also the destination of Old Testament saints who died trusting God's promise of the Redeemer (Ephesians 4:8). Whoever believes in Yeshua -Christ Jesus shall never perish but have “eternal life” (John 3:16-17). Heaven is a place of “no more’s” … There will be NO more tears, NO more pain, and NO more sorrow (Revelation 21:4). There will be no more separation, because death will be conquered (Revelation 20:6)). Because, heaven has NO night and the Lord Himself is the light, the sun and moon are NO longer needed (Revelation 22:5). A world without pain or sorrow is so out of the realm of human experience that God reiterates the promise with a personal guarantee; “And He that sat on the throne said, ‘Behold, I make all things new.’ And He said to me, ‘Write, for these words are true and faithful,” Revelation 21:5. The phrase “heavenly places” or “heavenly realms” … is used several times in the book of Ephesians (1:3, 20; 2:6; 3:10; 6:12). This phrase is translated from the Greek word epouranios, meaning “the sphere of spiritual activities.” “Heavenly realms” can refer to both angelic and demonic activity. In Ephesians 1:20 we read that; “God raised Christ from the dead and seated him at his right hand in the heavenly realms.” But in Ephesians 6:12 we also read of evil forces in the same realm: “Our struggle is not against flesh and blood, but against the spiritual forces of evil in the heavenly realms.” As flesh-and-blood humans, we have very little understanding of the spirit world. We cannot see, hear, or touch it. However, the Bible assumes it, and we can glean insight into a world we cannot see by studying what God tells us about it. First of all, God is spirit (John 4:24) and He exists outside the bounds of time, space, and matter in heaven (Acts 7:55; Isaiah 63:5), but this is a distinct place, not to be confused with “the heavens,” referring to the atmosphere (Genesis 1:1; Psalm 148:4), or the “heavenly realms,” which includes all spirit beings. In God’s heaven, He sits on a throne (Matthew 23:22; Hebrews 4:16), surrounded by adoring angels (Revelation 7:11; Psalm 99:1) who exist to serve God and minister to His saints (Hebrews 1:14; Matthew 4:11; Genesis 19:1). Angels also have the ability to appear as men when sent to deliver messages from God (Genesis 18:2, 16-17; 19:1-2; Daniel 10:5-6). However, the dark evil side of the “heavenly realms” belongs to Satan and his evil spirits. Satan is not the counterpart to God! God has no challenger. Satan is a created being who has only the power God allows him to have and for only as long as God allows it (Isaiah 14:12; Luke 14:12; 22:31; Revelation 12:12). (Yet, for reasons known only to God, Satan and his demons are allowed to wreak havoc upon the earth and upon the servants of God - if unchecked by spiritual warfare and the holy angels. Daniel 10 and John 10:10 give us the best glimpse into what happens in this world we cannot see. “Heaven or Hell…? Just as heaven is real so is hell! There has always been a separation of believers and unbelievers after death (Luke 16:19-31). The righteous have always gone to “heaven” (paradise) and the wicked have always gone to “hell” – by choice! God has given us the freedom to choose and we can even choose our final destination – eternity! God will destroy all sin and sinners with fire. This fire will melt the earth and turn everything into ashes. Then God will make a perfect new earth, and the holy city will be its capital. Here the righteous will live in joy, peace, and holiness throughout eternity. God promises that sin will not rise up again. (Nahum 1:9). For right now, both heaven and hell are “temporary holding places” until the day when Christ comes back to judge the world based on whether or not individuals have believed in Him. The First Resurrection is of believers who will stand before the Judgment Seat of Christ to receive rewards based on meritorious service to Him. 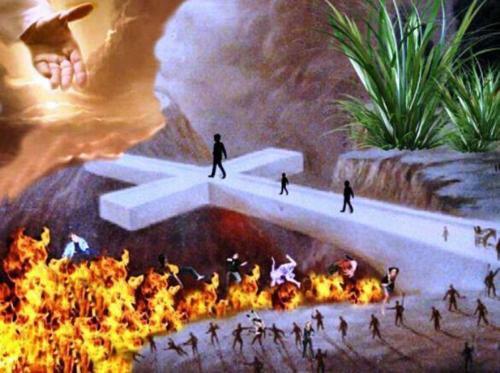 The Second Resurrection will be that of unbelievers who will stand before the “Great White Throne Judgment of God.” At that point, all will be sent to their eternal destination - the wicked to the “lake of fire” (Revelation 20:11-15) and the righteous to a “New Heaven and a New Earth” (Revelation 21-22). Where is this amazing City of Jerusalem that God is preparing? "And I John saw the holy city, New Jerusalem, coming down from God out of heaven," Revelation 21:2. And in the Old Testament; "O Lord my God ... hear thou in heaven thy dwelling place," 1 Kings 8:28-30. This great city that is being constructed is, at this very moment, in far outer space in God's dwelling place, which is called heaven. Who is the architect and builder of this space city? "Wherefore God is not ashamed to be called their God: for he has prepared for them a city," Hebrews 11:16. The Bible declares that God is preparing or building a great city for His people. And this city is as real and literal as any you have ever known. Is it true that this amazing city will descend to this earth? "And I John saw the holy city, new Jerusalem, coming down from God out of heaven, prepared as a bride adorned for her husband," Revelation 21:2. Yes, the majestic "Holy City – the New Jerusalem" will come down to this earth to become the capital of the earth made new. All the righteous will have a home in this city! Will the "new earth" be different from our earth today? Vast seas as we know them today will be gone (Revelation 21:1). The oceans and seas cover three-fourths of the earth's surface today. This will not be the case in God's new Kingdom. The whole world will be one huge garden of unsurpassed beauty, interspersed with lakes, rivers, and mountains (Revelation 22:1; Acts 3:20-21). The deserts will become gardens (Isaiah 35:1-2). 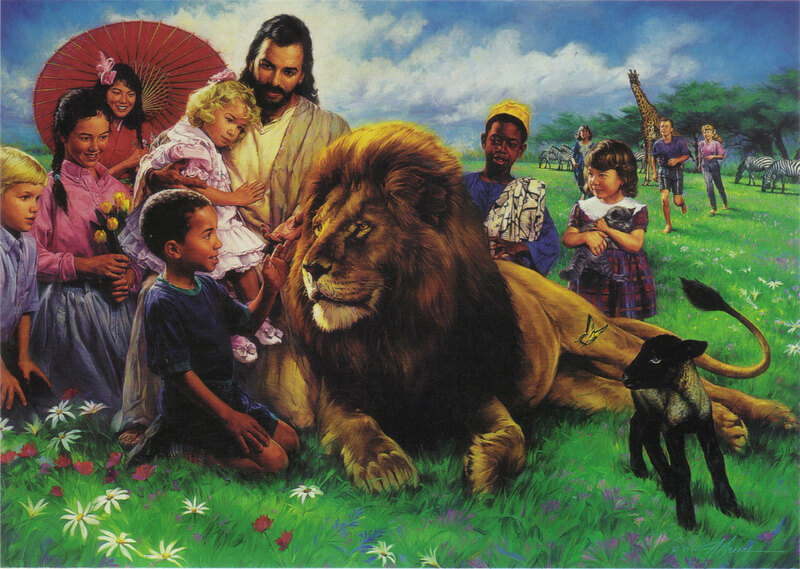 The animals will all be tame and none will prey upon others and a little child will lead them (Isaiah 11:6-9; 65:25). There will be no more curse (Revelation 22:3) and no more violence of any kind (Isaiah 60:18). This includes crime, storms, floods, earthquakes, natural disasters, sickness, suffering and nothing defiled will be found in the new earth – New Jerusalem (Revelation 21:27). Will we be able to see and know our friends and family members in Heaven? Will we know each other in heaven? Most people say that the first thing they want to do when they arrive in heaven is see all their friends and loved ones who have passed on before them. In eternity, there will be plenty of time to see, know, and spend time with our friends and family members. "For now, we see obscurely in a mirror, but then it will be face to face. Now I know partly; then I will know fully, just as God has fully known me, 1 Corinthians 13:12. The Bible clearly teaches that’ righteous loved ones who have died will be raised to join the righteous living in God's kingdom and the Scriptures also teach that people in God's new kingdom will know each other, just as people recognize each other on the earth today. (Isaiah 26:19; Jeremiah 31; 15-17; 1 Corinthians 15:51-55; 1 Thessalonians 4:13-18). However, that will not be our primary focus in heaven. We will be far more occupied with worshipping God and enjoying the wonders of heaven. Our reunions with loved ones are more likely to be filled with recounting the grace and glory of God in our lives, His wondrous love, and His mighty works. We will rejoice all the more because we can praise and worship the Lord in the company of other believers, especially those we loved on earth. What does the Bible say about whether we will be able to recognize people in the afterlife? King Saul recognized Samuel when the witch of Endor summoned Samuel from the realm of the dead (1 Samuel 28:8-17). In Luke 16:19-31, Abraham, Lazarus, and the rich man were all recognizable after death. 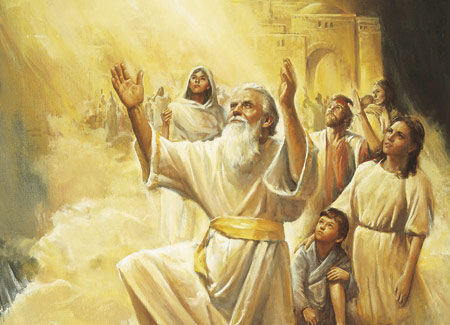 At the transfiguration, Moses and Elijah were recognizable (Matthew 17:3-4). Many will sit down with Abraham, Isaac and Jacob in the Kingdom of Heaven (Matthew 8:11). This verse shows that both individuality and satisfying social interactions will continue to be a source of pleasure and fulfilment. When the disciples met Yeshua (Jesus) after the resurrection they were able to recognize Him by His mannerisms and related to Him as the friend they had known. Likewise, although the redeemed will have new bodies “conformed to His glorious body” (Philippians 3:21), we will still retain our personalities and relate to our friends and loved ones, as well as to an eternally expanding “circle of friends.” In these examples, the Bible does seem to indicate that we will be recognizable after death. Does the “New Jerusalem” assure every believer eternal stamina and youth? “Through the middle of the street of the city; also, on either side of the river, the tree of life with its twelve kinds of fruit, yielding its fruit each month. The leaves of the tree were for the healing of the nations," Revelation 22:2. And we see this from the Garden of Eden; "Take also of the tree of life, and eat, and live for ever." Genesis 3:22. 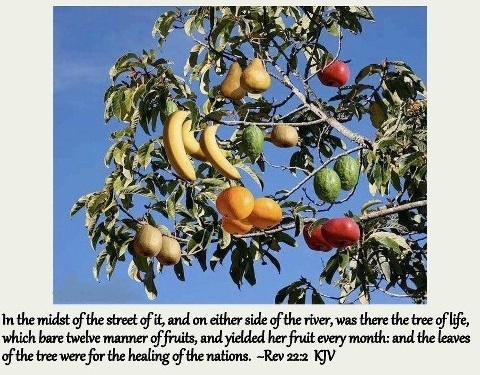 The paradise of the Garden of Eden is restored: the river of the water of life flows freely and the tree of life is available once again, yielding fruit monthly with leaves that “heal the nations” (Revelation 22:1-2). However, though the apostle John was describing heaven it must have been indescribably beautiful and the mere reality of heaven beyond the ability of man to accurately put in words (1 Corinthians 2:9). Will there be children in God’s kingdom? If so, will they grow up? When David’s infant son died, David declared, “I will go to him, but he will not return to me,” 2 Samuel 12:23. David assumed that he would be able to recognize his son in heaven, despite the fact that he died as a baby. Why can David be so certain that his child is now in heaven? The answer is not given in this passage. It is perhaps most clearly explained in Romans chapter 5. There, Paul teaches us that it was Adam's sin which made each of us sinful by nature. Infants, by virtue of being born of man and therefore are the descendants of Adam, and consequently must face physical death. But because they have not wilfully resisted and rejected the revealed word of God, the death of Christ covers their sins and we can thus be assured that they will go to heaven. It is not difficult to believe that David's child would go to heaven. What is more difficult to believe is that David is certain he will be there with the child? While the child did not sin, David had. David had taken another man's wife. David had murdered Uriah, the husband of the child's mother. What possible reason can we find for David's hope of heaven? The answer to this is found in Psalm 51. There we read that David confessed his sin to God and sought His forgiveness. If David can be assured of God's forgiveness for the sins of adultery and murder, surely, we can be assured of forgiveness as well. “And the streets of the city shall be full of boys and girls playing in the streets thereof,” Zechariah 8:5 - “And you shall go forth, and grow up as calves of the stall,” Malachi 4:2. Yes, we believe that there will be many boys and girls in the Holy City (Isaiah 11:6-9), and the youth will grow up. We have degenerated much in stature, intellect, and vitality since Adam, but all of this will be restored (Acts 3:20, 21). What age will everyone be in Heaven? The Bible does not specifically answer this question. One thing is for certain. Whatever age we appear to be …we will be gloriously perfect! Our entire person will be remade whole and completely flawless - Christ-like. Some believe it to be around 30 or 33 since that is approximately the age Yeshua (Jesus) was when He died; “Dear friends, now we are children of God, and what we will be has not yet been made known. But we know that when He appears, we shall be like Him, for we shall see Him as He is,” 1 John 3:2. We will lose all trace of human fallenness, wearing the white robes of purity, holiness and absolute perfection. So whatever age we are, it will be the age of complete and total perfection. The “King of kings” will teach the Nations the way to peace and Jerusalem will become the centre of world government and education …and all nations will come to Jerusalem to learn God's way of love and peace. “Many nations shall come and say, 'Come, and let us go up to the mountain of the Lord, to the house of the God of Jacob; He will teach us His ways, and we shall walk in His paths.' For out of Zion the law shall go forth, and the word of the Lord from Jerusalem. He shall judge between many peoples, and rebuke strong nations afar off; they shall beat their swords into ploughshares, and their spears into pruning hooks; nation shall not lift up sword against nation, neither shall they learn war anymore,” Micah 4:2–3). The nations will learn o walk in God’s way and His 10 Commandments …and the entire way of life taught by Christ, the way of life recorded in the Scriptures. Here is an inspiring description of Jerusalem's future; “Thus says the Lord: 'I will return to Zion, and dwell in the midst of Jerusalem. 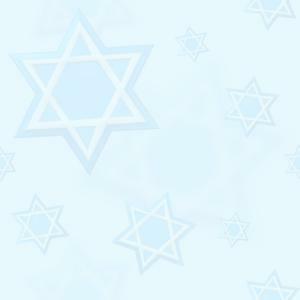 Jerusalem shall be called the City of Truth, the Mountain of the Lord of hosts, the Holy Mountain’” Zechariah 8:3. Jerusalem is NOT now called the “City of Truth.” But, it soon will be so when God's Kingdom is established all over the world. The New Jerusalem will be fantastically huge. John records that the city is nearly 1,400 miles long, and it is as wide and as high as it is long - a perfect cube (Revelation 21:15-17). “And he said to me, “These words are faithful and true”; and the Lord, the God of the spirits of the prophets, sent His angel to show to His bond-servants the things which must soon take place. And behold, I am coming quickly. Blessed is he who heeds the words of the prophecy of this book,” Revelation 22:6-7 God is not like us. He does not lie (Numbers 23:19) and has no reason to lie! Fulfilled prophecies in both the Old and New Testaments prove that God tells the truth. He is faithful and true in all that He says. This is all about our God. The Lord has promised to go and prepare a place for us and we can believe this! It is a wonderful thing that the Bible ends on such a victorious note. What a glorious future the children of God have! Who are the residents of the New Jerusalem? The Father and the Lamb are there (Revelation 21:22). Angels are at the gates (vs. 12). But the city will be filled with God’s redeemed children. The New Jerusalem is the righteous counter to the evil Babylon (Revelation 17), destroyed by God’s judgment (Revelation 18). The wicked had their city, and God has His. To which city do we belong? Babylon the Great or the New Jerusalem? If we believe that Yeshua (Jesus), the Son of God, died and rose again and have asked God to save us by His grace, then we are a citizen of the coming Millennium “New Jerusalem” (Ephesians 2:6) and we have “an inheritance that can never perish, spoil or fade” (1 Peter 1:4). “The Spirit and the bride say, ‘Come!’ And let the one who hears say, ‘Come!’ Let the one who is thirsty come; and let the one who wishes take the free gift of the water of life” (Revelation 22:17). In the end, believing Israel, the church, and the Saints from the Tribulation period will share together a barely-imaginable place, in the presence of our Lord and Saviour, Yeshua - Jesus Christ!